Car dealerships are made up of many constituent elements. You have the sales team, the service desk, marketing and, depending on the makeup of the business, the ever-present weight of expectation from shareholders and head offices to contend with. Historically, keeping a handle on every department involved multiple systems, spreadsheets and even the cumbersome old processes that favour pen and paper over digital. 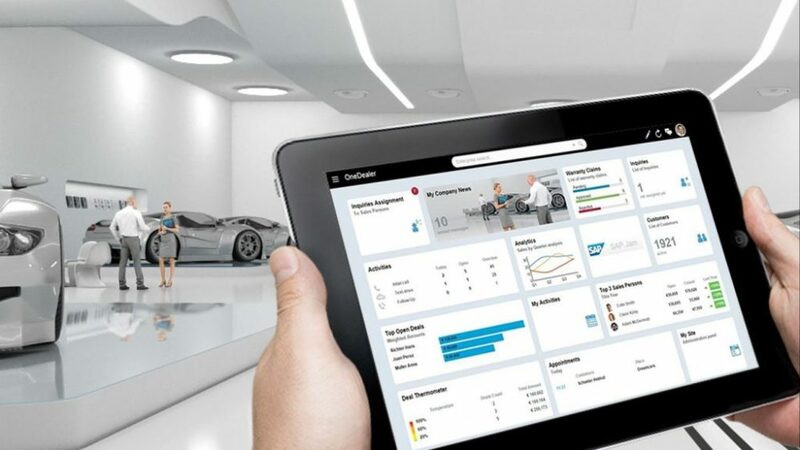 Enter the OneDealer Suite, which has something of a trick up its sleeve — we call it the Dashboard. Clearly, we’ve got some explaining to do. For as familiar as the term ‘dashboard’ may be to those within the tech bubble, in the automotive industry, it simply refers to the driver-facing control centre of a vehicle. Transpose that to software, however, and you’ll find it is identical. The Dashboard is home to a wealth of information. Just as a modern car dashboard will keep you informed of speed, oil temperature, fuel level and the upcoming turn on your GPS, OneDealer’s Dashboard provides instant data on the current top sales people, upcoming appointments and the number of leads, opportunities, open deals and other critical information. All it takes is one look to know exactly what is going on in your car dealership at any given moment. What does the OneDealer Dashboard do? Thanks to a responsive, mobile-enabled design, the dashboard can be viewed on any device, but feels most at home on a tablet, given the portability offered by such a device and the ease with which the interface can be navigated via the touchscreen. My Activities. Every user of OneDealer has activities assigned to them – just like a daily to-do list – and the Dashboard provides an instant overview of just how much work you have ahead and the division between normal and critical activities. Deal Thermometer. As deals come near to completion, they get hotter. The colder they are, the less likely the customer is to buy. The thermometer provides a bird’s eye view of the temperature of the current deals that are underway. Top 3 Sales Persons. KPIs play an incredibly important role in car dealerships and, if a manager needs to find out who is at the top of their game, at any given moment, a quick glance at the Dashboard is all that’s required. Furthermore, because the KPI data is held online and updated in real-time, sales staff can rest safe in the knowledge that their best efforts are never far from their manager’s thoughts. Top Open Deals. The top deals are the ones you really don’t want to let slip, and the ability to quickly sniff out those that could make a big difference to your end of month sales figures enables management to ensure they are given the attention they deserve. Leads, opportunities, inquiries. A single number is provided for each of these metrics, but there is no greater indication of how busy your dealership is and the health of its sales pipeline. Technology is only worthy of implementation in business if it offers solid benefits. Increases efficiency across the sales desk. The data contained within the Dashboard means there’s no hiding and helps create a healthy culture of competition. Increases customer satisfaction. One look at the Dashboard highlights deals that require attention and gives management the opportunity to thank particularly high-value customers for their custom. Speeds up response times. With disparate systems and countless spreadsheets, dealerships are often slow to respond to inquiries. The Dashboard enables everyone in the business to respond quickly to every lead that comes in and ensure open deals are closed in a timely fashion. All channels and sources of data in one place. The Dashboard is a single-screen representation of the entire dealership. No stone is left unturned. Ultimate flexibility. A major strength of OneDealer’s Dashboard is the flexibility it offers users. 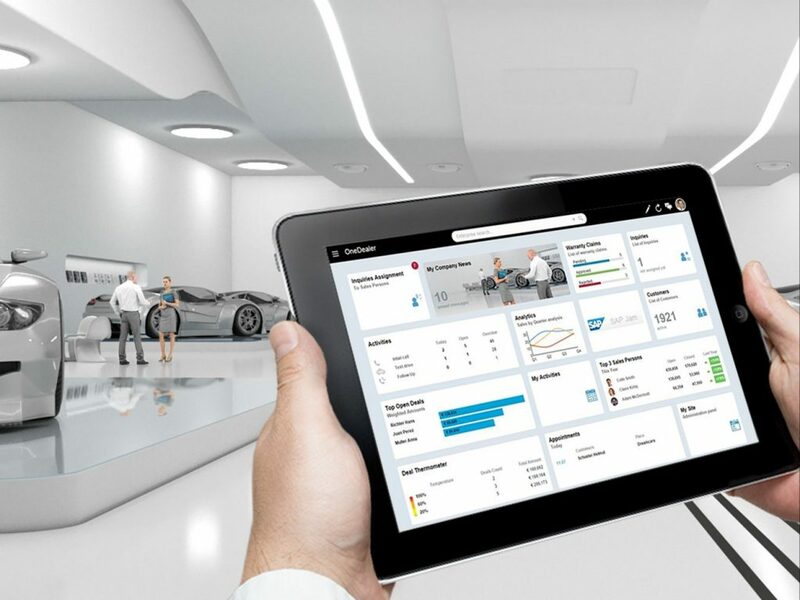 The ability to customise the data on display and view the results whether you’re sat at your desk, on the couch at home or wandering the dealership floor is liberating. Reduces overheads. OneDealer costs less to implement, requires no investment in user training and, as a result, offers dealerships an impressively low total cost of ownership. The OneDealer Dashboard is incredibly customisable, too. Users can select their own layout by easily adding or repositioning OneDealer tiles – or even external applications – enabling them to build a personalized picture of their business to increase productivity. Custom widgets can also be created and the viewable data personalised for each employeeand their role, thanks to the intelligent way OneDealer depicts information based on the user login.